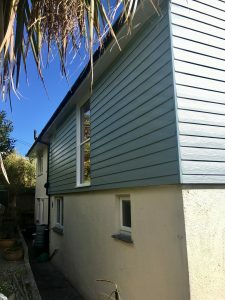 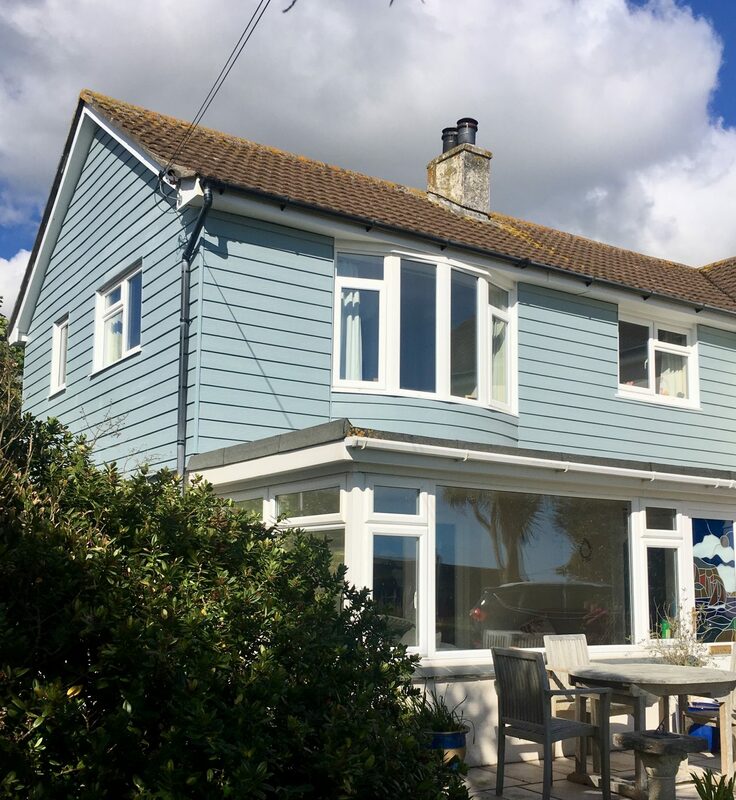 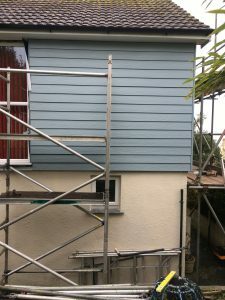 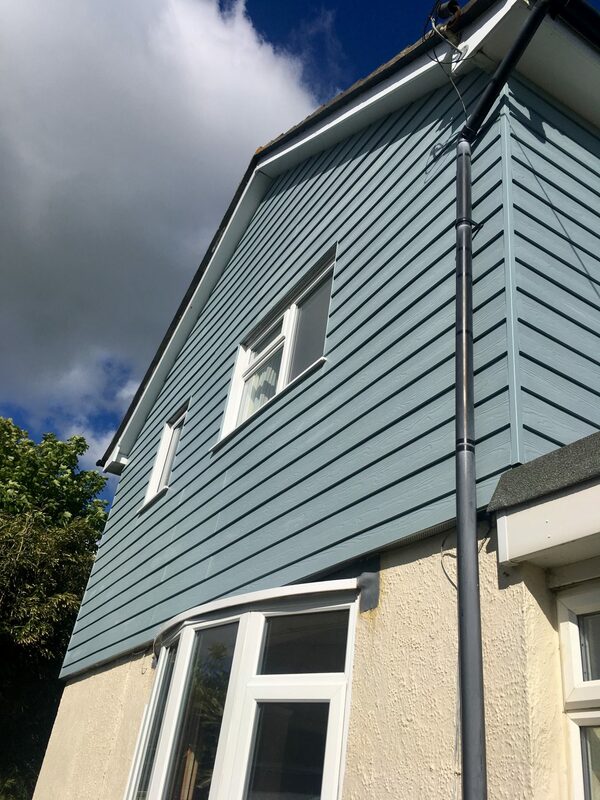 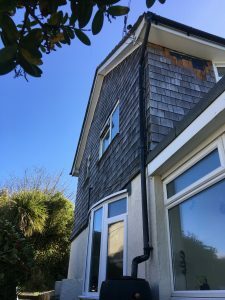 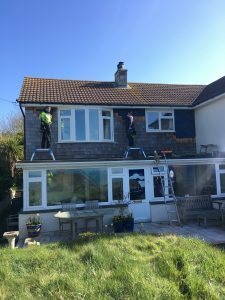 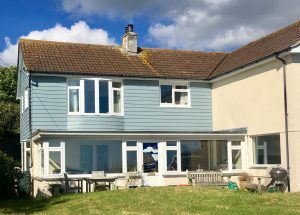 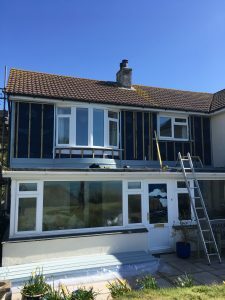 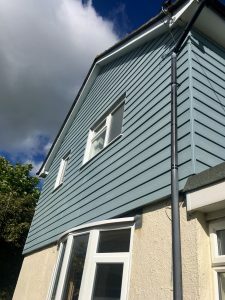 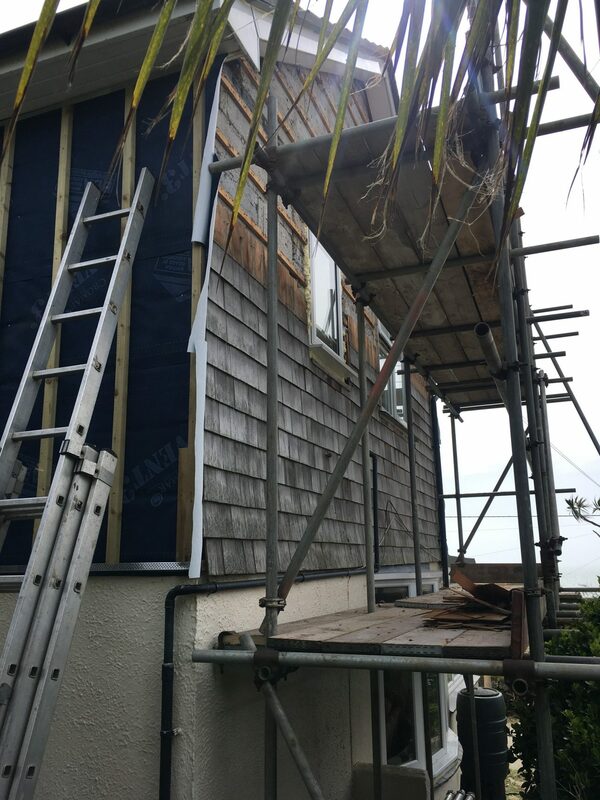 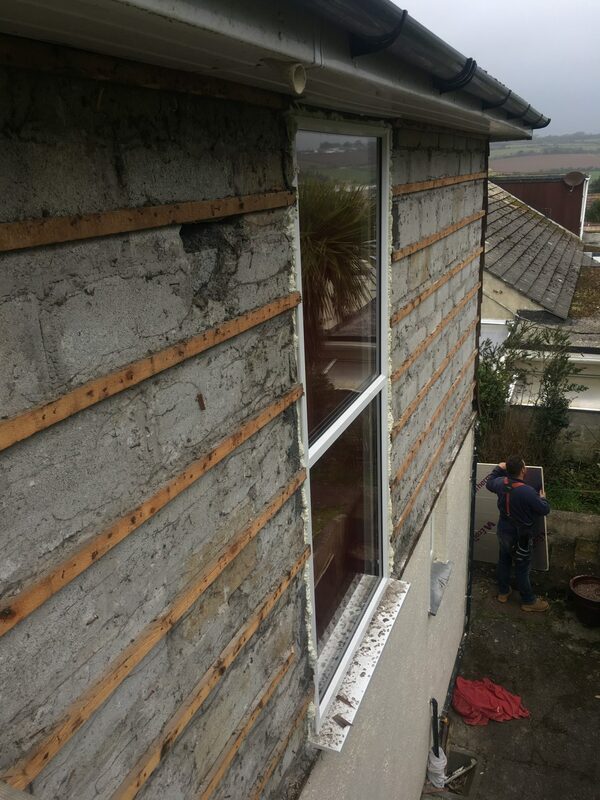 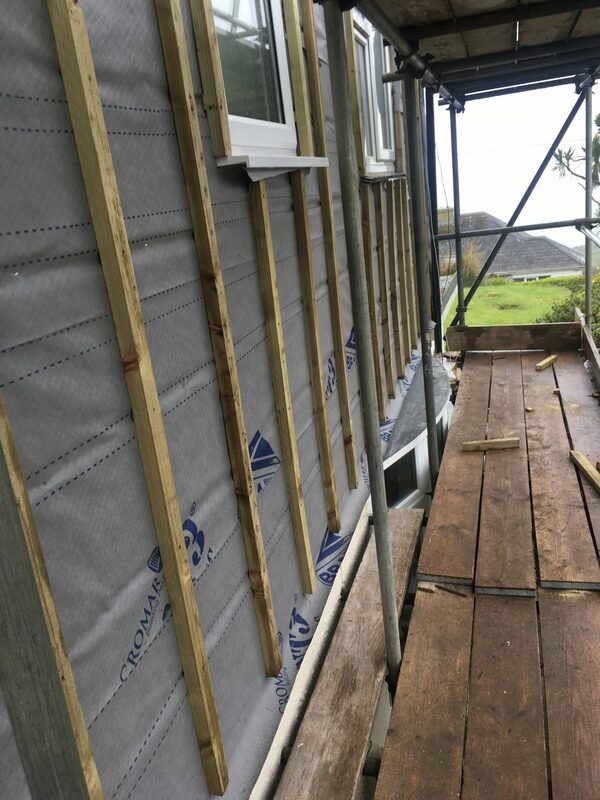 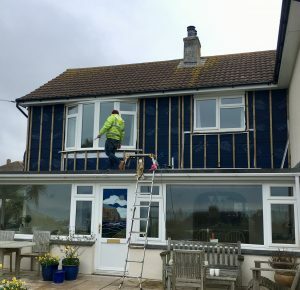 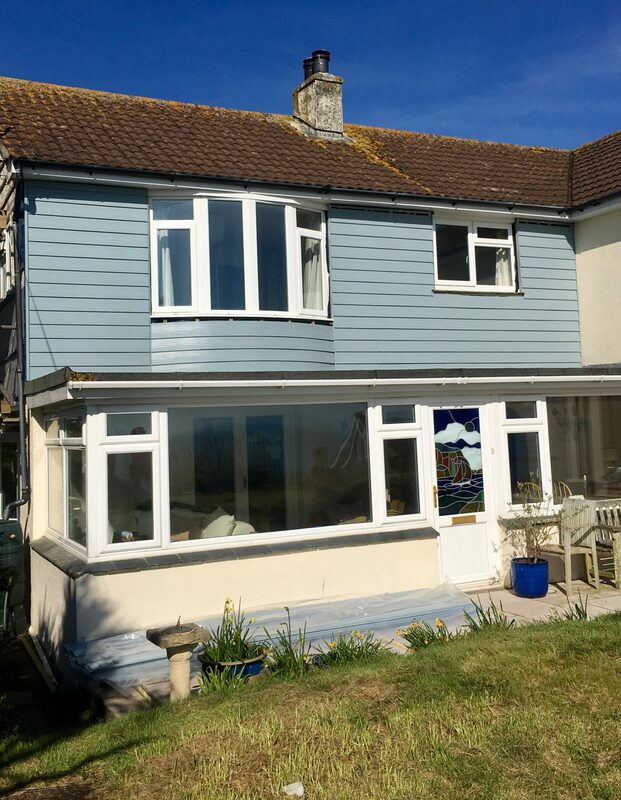 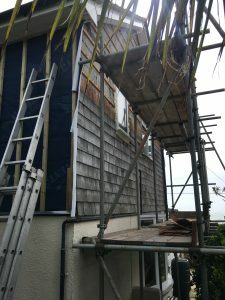 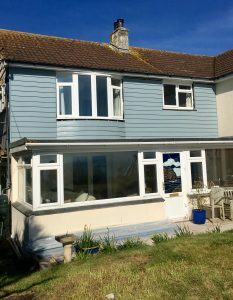 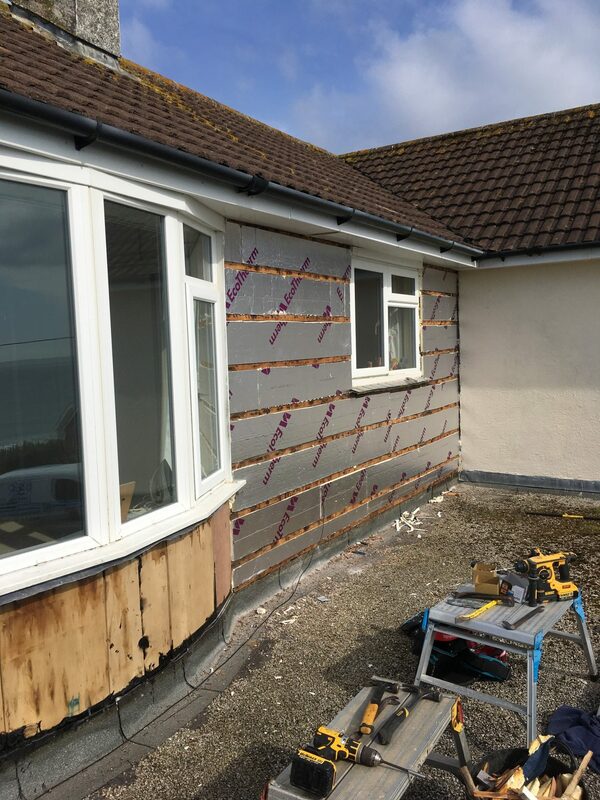 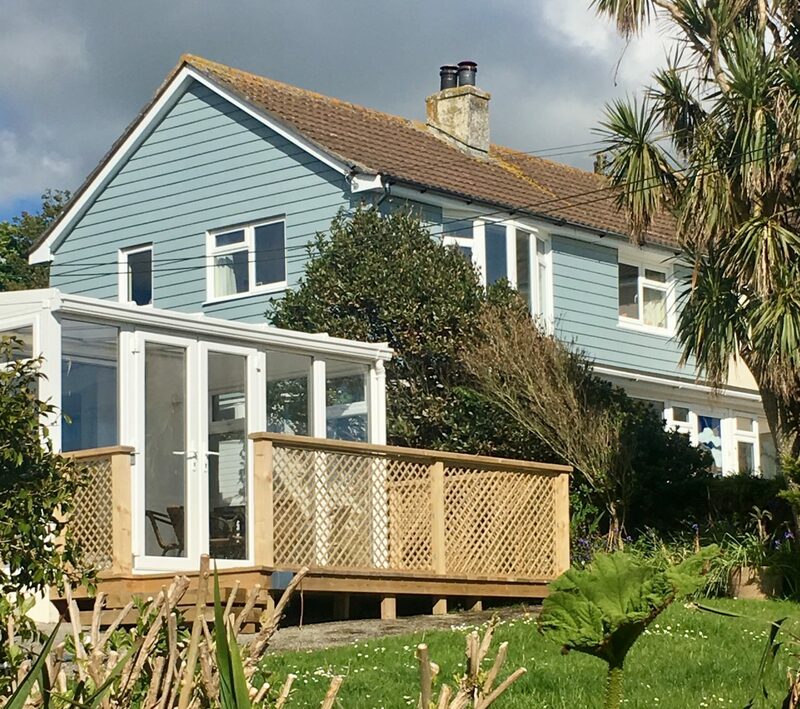 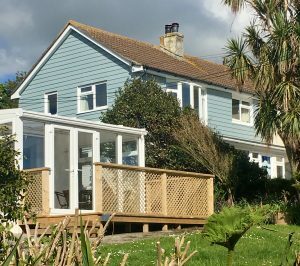 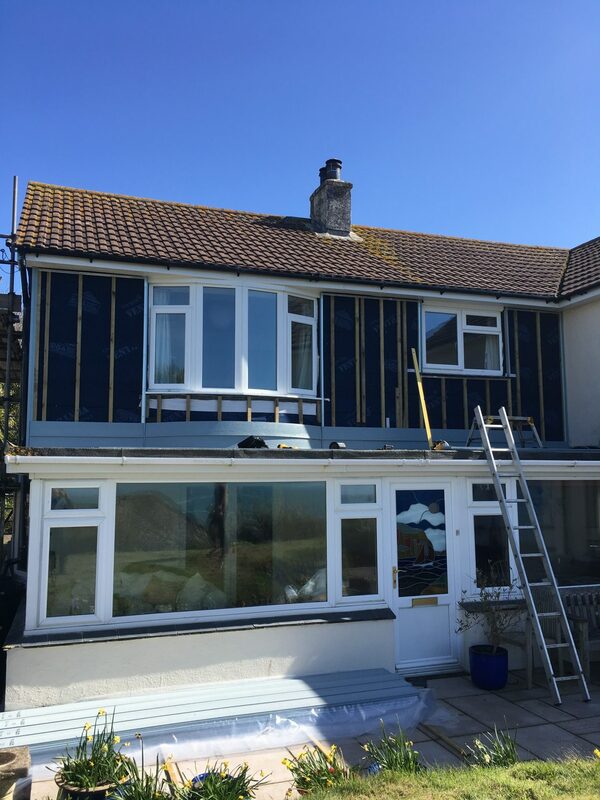 Blue grey cedral cladding to a house in Praa Sands, Cornwall. 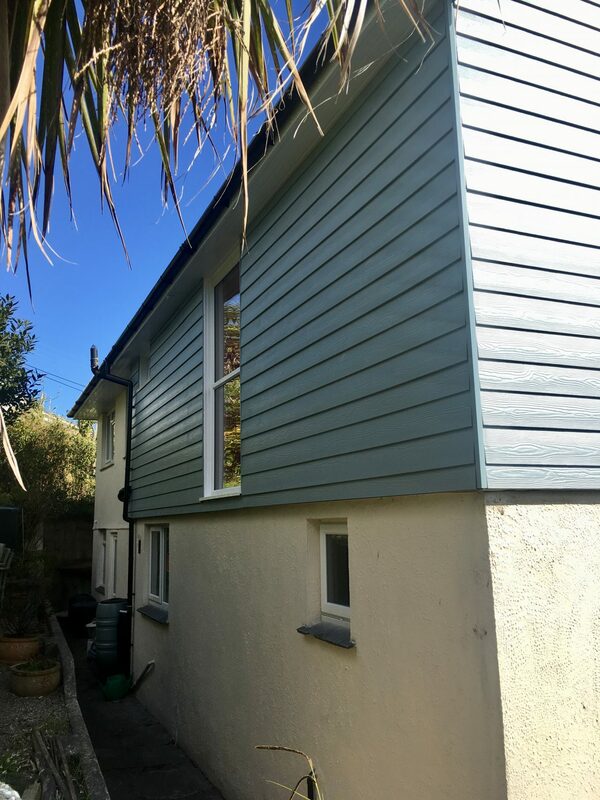 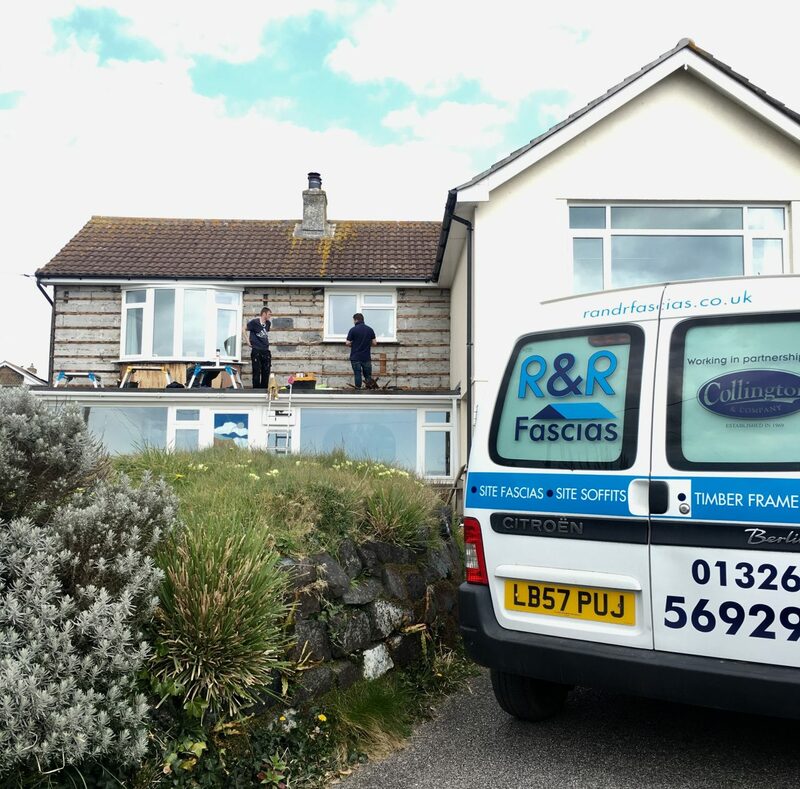 We have recently updated this house in Praa sands with new cedral cladding. 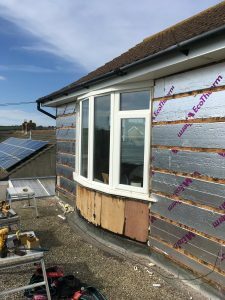 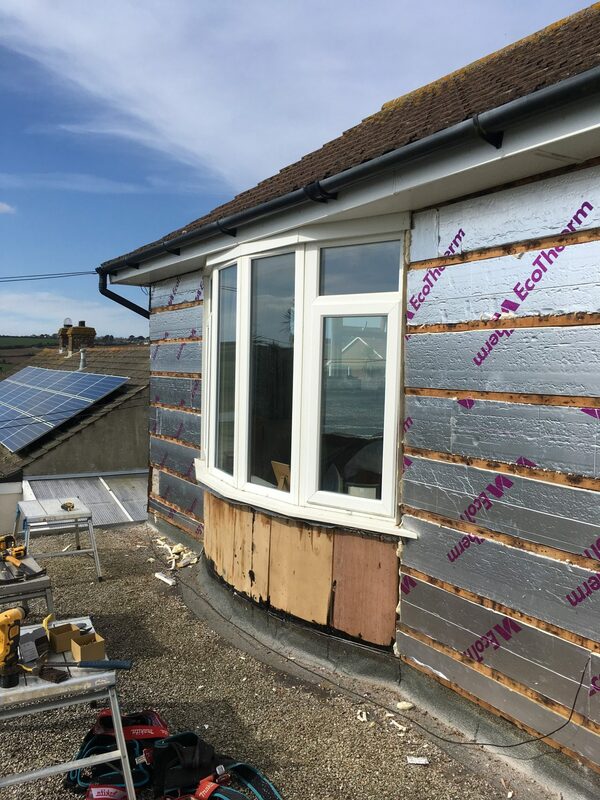 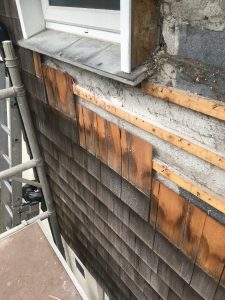 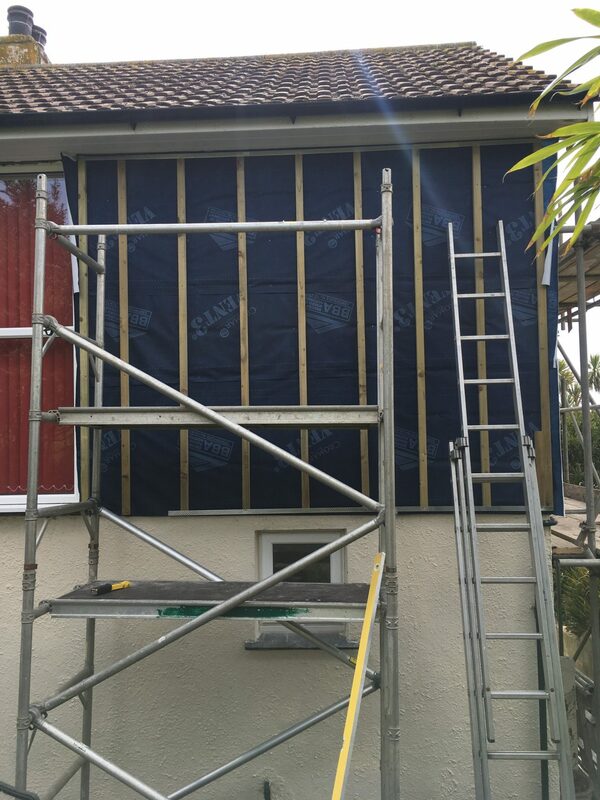 We removed the old wood tiles and installed 25 mm insulation. 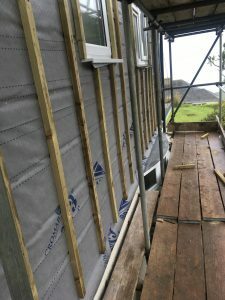 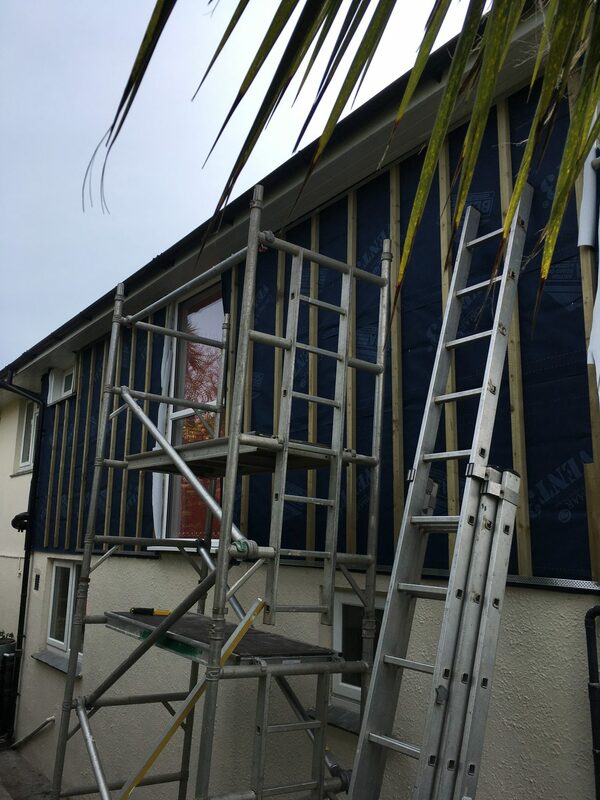 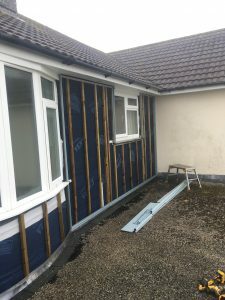 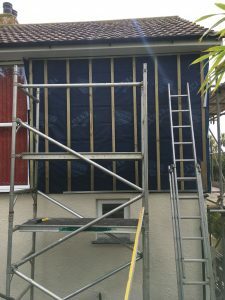 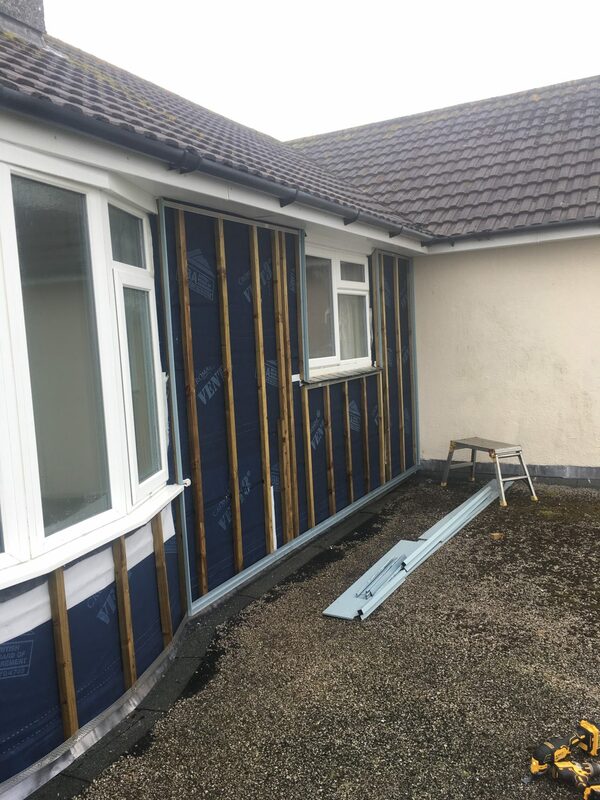 Then we covered this with a breathable membrane and installed 38 x 50 batten to install the blue grey cladding onto. 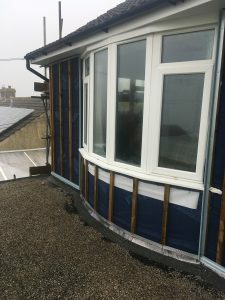 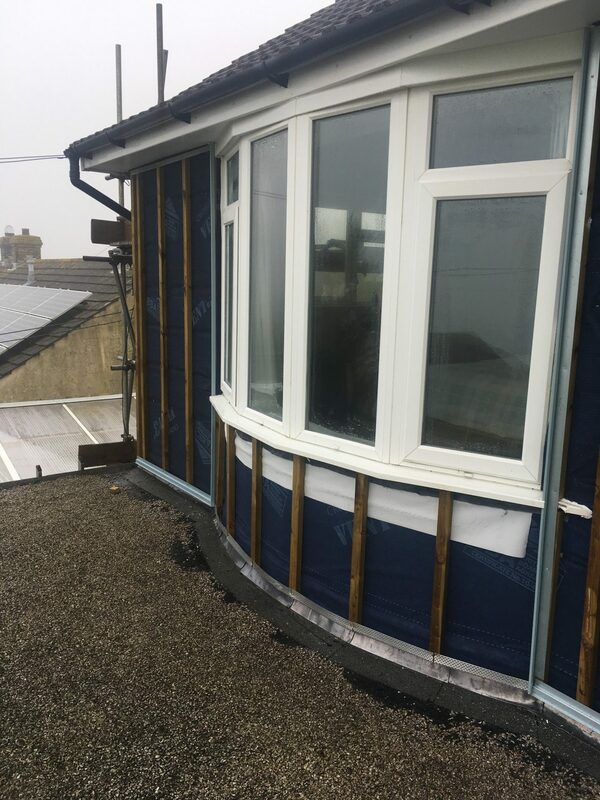 also installed was perforated closure and starter trims along with edge trims for the windows and external corners. All cedral boards were installed using stainless steel screws. 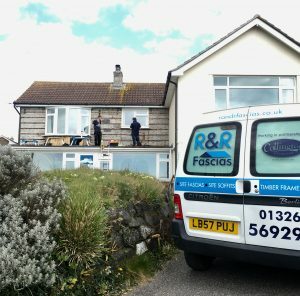 Mr & Mrs A Labouf are very happy with the outcome as are we.